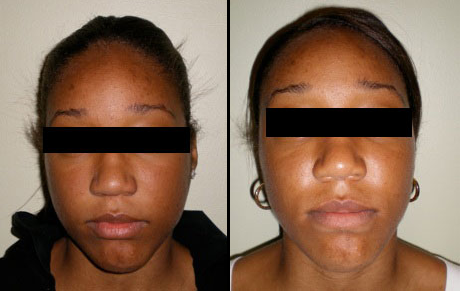 Having Orthognathic surgery is a commitment in time and patience. The patient is usually seen for a pre operative evaluation, then the patient will be prepped for surgery with orthodontic treatment that can be between 6 months to 2 years. We will submit your insurance for these procedures can be done in our surgical suites under I.V sedation. Surgery will always be done on stone study models, so that you can see the type of results you can anticipate. Difference in skeletal growth between the upper and lower jaws may lead to both functional and psychological difficulties. Functional difficulties may include problems with chewing, swallowing, speech or TMJ performance. Patients may also exhibit psychological difficulties stemming from aesthetic and social concerns. Some abnormalities may only involve misaligned teeth and can be corrected orthodically with braces or other appliances. Serious growth disturbances, however, require surgery to realign the upper and lower jaws into a more normal relationship. Common dentofacial deformities, including under or overdevelopment of the jaws (prognathia, micrognathia, retrognathia), or misaligned teeth (overbite or under bite), can make it difficult to eat, swallow, speak, and breath.